Recently there’s been a lot of talk about celebrity Botox losing face and showing signs of age. And very recently, actors and celebrities have been snapped with frozen faces at the Cannes Film Festival and the Oscars. At first blush you would think all Botox is bad. Are celebrities REALLY falling out of love with Botox? In contrast, the most recent report from the American Society of Plastic Surgeons reported a record number of Botox treatments. Demand for Botox is also expected to increase. 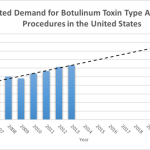 Last year more than 6.3 million Botulinum toxin type A treatments were performed, continuing to make Botox the nation’s most popular ‘non-surgical’ procedure. Surely then not all Botox is bad? Is Botox going out of style with celebrities, while the rest of the country increasingly opts for the needle? For some celebrities, the ‘frozen’ look is something they were seeking. While in other cases, let’s just say, even the the best injectors make mistakes. However, in most cases, ‘too much’ Botox is not something celebrities want or like. 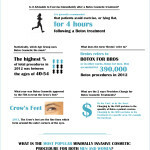 Botox isn’t just a celebrity affair either. We are all realizing what a good result looks like. Celebrities are slowly learning from past mistakes (recent exceptions noted). Celebrities and Hollywood A-listers haven’t fallen out of love with Botox. In fact, just like the rest of us, more celebrities are doing Botox. What we are seeing is attention on celebrities who haven’t got good results, while the smart celebrities are doing their Botox better, smarter and keeping it under-the-radar. Let’s face it, no pun intended, the frozen look was never good. Natural – Advanced Botox Injectors customize treatments to the individual and can achieve a subtle, natural look. A natural look softens facial lines and wrinkles, yet still retains facial movement, for example when you laugh, cry or look surprised. Still – A ‘still’ look provides a nice result; lines and wrinkles are erased and some facial movement can still be seen. When the treatment is done well, a ‘still’ look provides a natural result with full correction. Frozen – A ‘frozen’ look inhibits facial expression and the skin appears stretched tight across forehead. A ‘frozen’ look can also give the face a ‘waxy’ appearance. As history has shown us, the frozen look is not good for celebrities and actors. If an actor can’t move their face, they can’t do their job. Smart Celebrities: opt for a ‘natural’ or ‘still’ look. Celebrities are also realizing the difference between enhancement and correction. Enhancement is associated with augmentation, while correction is making small, subtle improvements to provide correction, for example softening age-related lines and wrinkles. “I’m all for a little here and there – fine. It doesn’t matter to me if people have plastic surgery, or they don’t, or if they do Botox”. Whether or not Michelle Pfeiffer has had Botox is debatable, but her attitude of making small, subtle improvements is a good one, with benefits both on and off the red carpet. Smart Celebrities: make small and subtle improvements. In the same vein, celebrities are also learning to only treat one or two facial areas. For example, treating the frown lines between the brows, known as the 11’s, and also perhaps the Crow’s feet. This reduces lines and wrinkles, but there isn’t enough of a difference for anyone to know. “When all else fails, I get Botox injected right here, right into my forehead”. Smart Celebrities: only treat one or two facial areas with Botox. Another celebrity trick is to get the desired Botox result, and then proactively maintain it. Through regular Botox treatments, celebrities can hold their wrinkles at bay, and the media soon forgets they ever had any. A-lister’s are able to stay under the radar, and most importantly, out of the spotlight for the wrong reasons. Smart Celebrities: stick to a regular Botox routine. Celebrities are becoming less and less vocal when it comes to their beauty secrets; not just with Botox, but with everything. Again, celebrities are learning from their past mistakes – being vocal about beauty secrets has proven to be a disservice for some. Take Simon Cowell for example, he’s freely admitted to using Botox, but then he’s never been allowed to forget it. Smart Celebrities: don’t vocalize their beauty secrets. When you’re in front of cameras every day, or being photographed on the street you have to look good. However, if Botox is part of your beauty regime, it has to be done well. Botox mistakes have been made, but smart celebrities are learning fast. Botox isn’t going out of style with celebrities, the SMART ones are just thawing out..
.. and learning that LESS IS MORE. In some cases, celebrities are doing their Botox so well, you wouldn’t know they had Botox at all..
AND THAT IS PRECISELY THE GOAL OF GOOD BOTOX!